The ‘spook’ of Basing House barn…. I’m just home from a fleeting trip to Hampshire, to visit Basing House, near Basingstoke, which was host to Richard II and his retinue in the 14th century. The building started life as a Norman castle, became a great Tudor house that was reckoned the largest in England, and was finally blown to bits by Cromwell after a siege. The remains are on a hill above the valley of the River Loddon, and are quite exposed. English weather being what it is, my sister-in-law and I were treated to a sudden squall – belting rain, gusts of wind that blew my new umbrella inside out, and so on. But when we descended into the valley again, the air became still, warm and muggy. Such a difference. Quite odd really. We saw the wall and site of a later house, the whereabouts of which were investigated by Time Team in 1999, and then returned to the gift shop/ticket office area, which is situated in one half of the great medieval barn that survived Cromwell’s attentions. The other half of the barn is shut off from the shop, and has been left in its original state. It’s huge, shadowy and atmospheric. Everything echoes inside, and what with the still air and mugginess outside, it made us feel quite unsettled. There was a rumbling, crackling noise from the roof, then a man’s voice boomed out loudly. The sound echoed everywhere, and we couldn’t understand a word because we took to our heels, almost falling over each other! Neither of us knew we could still move that fast. We stopped outside to look back, and realised it was a recorded ‘guide’ from a loudspeaker set up by the rafters! The girl in the gift shop had switched it on for us. When we told her what her timing had done, she said that there really was supposed to be a ghost in the barn…well, he/she visited annually, but I don’t know if the hauntings were in early September or not! Well, it was a very funny moment, and we all laughed about it afterwards, but for a few seconds there, we thought we’d made contact with the ‘other side’! The aerial view is from https://www.adventureballoons.co.uk/photopage/north-hampshire/basingstoke-ruins and the view of the barn interior is from the Hampshire Cultural Trust link above. Recently, for this year’s anniversary of Bosworth Field, I had the pleasure of joining the Somerset branch of the Richard III society in a commemoration service held in the Bishop’s private chapel. King Richard’s personal prayer was recited, and the beautiful ‘In Memoriam: Ricardus Rex’ by Graham Keitch was sung to great effect by the talented choir. White roses were then laid before a candlelit portrait of Richard on a banner bearing the Arms of England. Before the service, a tour of the ruins of the medieval Bishop’s s palace was also included. The palace was begun in about 1210 by Bishop Joscelin, with further structures added down to the 15th c. Thomas Beckington, who became Bishop in 1443, ordered these last features. These later buildings include the imposing Bishop’s Eye, a tall tower that still stands today within the beautiful gardens. From the exterior of the palace, some of the structure has a slightly martial feel, with its deep moat, crenellations, and portcullis. The unpopular Bishop, Ralph of Shrewsbury, added this particular design in the 1300’s. Ralph imposed heavy taxation on the locals of the town, hence he feared potential retaliation from the mob. For Ricardians, Bishop Stillington, who revealed Edward IV’s pre-contract with Eleanor Talbot, is the best known Bishop of Bath and Wells. However, like many churchmen of the day, Stillington spent relatively little time in his diocese; in his case, it is thought he lived in Wells only a few months if as long as that! However, John Gunthorpe, Dean of Wells from 1472, did, in fact, live for some time in Wells from 1485 onwards. Gunthorpe, who had a long and eminent career, served three Kings, Edward, Richard and then Henry Tudor,and was, for a time, Edward IV’s chaplain, and a Cambridge scholar (he obtained a Batchelor’s degree in theology). During Edward’s reign, Gunthorpe was also almoner, clerk, councilor and ambassador, and served as secretary to Elizabeth Woodville. 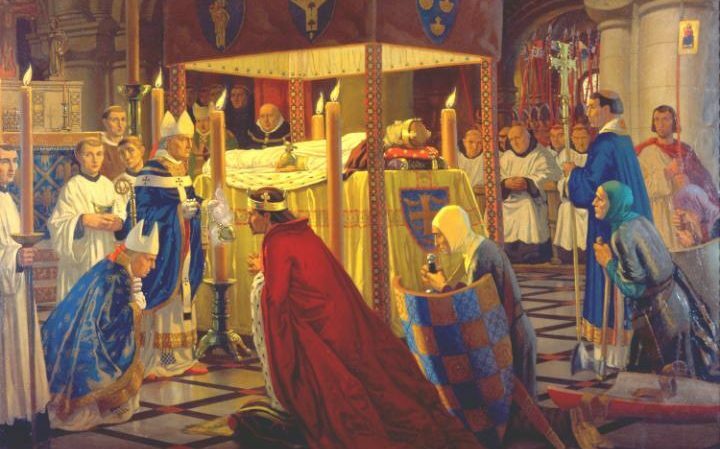 Despite Dean Gunthorpe’s close connection with the Woodvilles, Richard seemed to trust him, and during the King’s short reign, Gunthorpe became keeper of the Privy Seal. 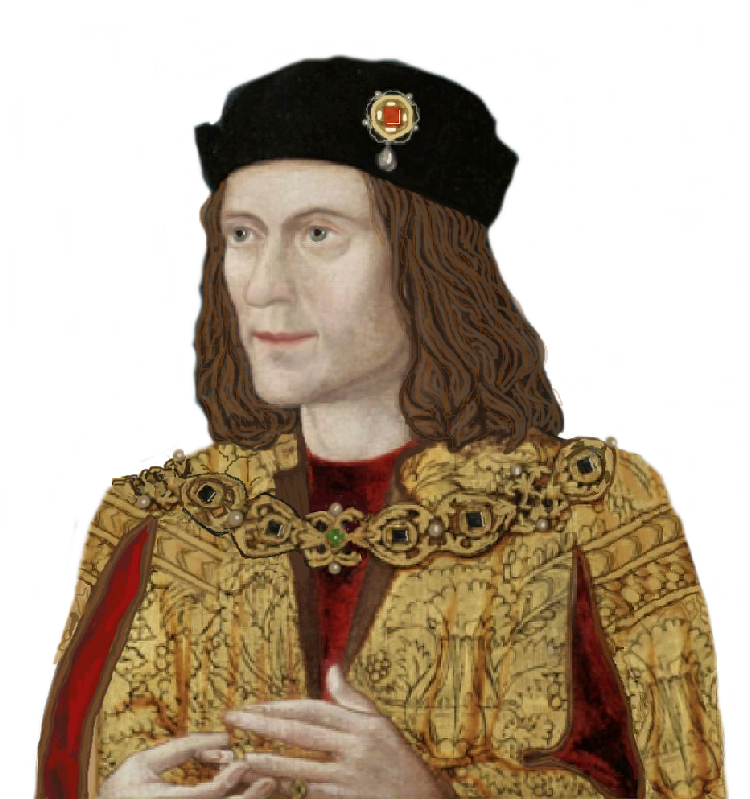 He assisted with the completion of various treaties, including that with Scotland, and in 1484, Richard wrote a letter to Gunthorpe in which the King spoke out against bribery: “…discharge Richard Bele from his place in the office of the said Privy Seal, to which he had been admitted contrary to the old rule and due order, by means of giving great gifts and other sinister and ungodly ways in great discouraging of the under-clerks, which have long continued therein, to have the experience of the same – to see a stranger, never brought up in the said office, to put them by of their promotion“. Gunthorpe’s loyalty to the new King must have been in no question, for apparently in 1485 he gave the Dean a gift of the ‘swans of Somerset.’ Some have imagined this might relate to the famous bell-ringing swans that have tenanted the Bishop’s Palace moat for many centuries, but I think it more likely that it is a general appointment to look after the King’s birds (swans had been ‘royal’ birds for centuries but obtained protected ‘royal status’ legally in the ‘Act of Swans’ in 1482) or even a gift of a swan or two for the table, which only Richard would have had permission to grant. Gunthorpe seems to have definitely taken up residence at Wells by 1485, and was later visited there by Henry Tudor, who came to the town on several occasions. His house still stands in the cathedral close and it marked by a plaque. Wells is also well worth visiting for its attractive cathedral and other medieval buildings, including ‘Vicar’s Close,’ thought to be Britain’s only complete surviving medieval street. The Battle of Stamford Bridge? 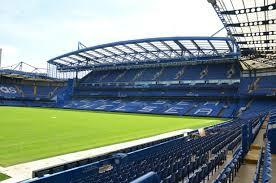 No, NOT this Stamford Bridge, but two hundred miles further north, somewhere by the River Derwent in the East Riding. So please try to avoid any more football references, except for the violent Norwegian game plan, the travel plans of the teams (sorry, armies) and the fixture congestion being contributory factors to the Anglo-Saxon defeat some three weeks later. Richard III, a book signing by Philip Photiou, and the music of the Legendary Ten Seconds, all in one occasion…. ExHere is an event to be attended if anyone possibly can. And there will be the music of the Legendary Ten Seconds to make it even better! Good for Richard, reaching out across the centuries to help this young woman.